I am both the executor and trustee of a California estate. What are my responsibilities? During the administration of an estate in California, assets may be divided between a trust and the decedent’s probate estate. Assets held in the trust will be overseen by the trustee appointed in that document. Assets not held in the trust, owned jointly, or having a named beneficiary will be overseen by the executor during the probate administration process. The executor is appointed by the probate court after filing the will. 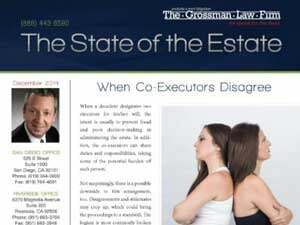 It is not uncommon for the executor and trustee to be the same person. First of all, contact an experienced San Diego probate court attorney right away for guidance. Then, review the terms of the trust to fully understand the goals of the trust. Also review the terms of the will by noting the named guardians of any minor children. Also note the provisions relating to the payment of taxes and expenses of the estate. Lastly, review any provisions that distribute estate property. 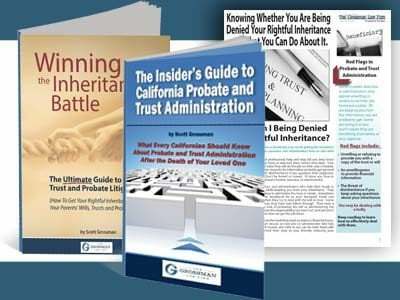 Furthermore, review the guidelines, rules, and regulations of an executor vs. trustee according to the California probate court. Finally, understand the differences in your fiduciary obligations as an executor and trustee. In conclusion, the responsibilities of an executor and trustee are numerous and in some cases may vary. If you are named as both under your loved ones’ estate documents, it is therefore vital that you understand the tasks that lay ahead. Our article, Administering an Estate in California: 10 Important Tasks, provides additional information about the administration process. For guidance administering the probate estate and trust of your loved one, contact an experienced San Diego probate court lawyer today. Feel free to call our toll-free number at (888) 443-6590 for a free consultation. If you would like to fill out our quick and easy contact form instead, feel free to do so. 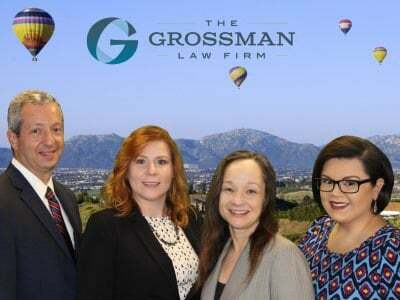 We have years of experience helping hundreds of clients through the probate process and it would be our pleasure to assist you as well. No one should have to go through this process alone. A person or organization that has been given responsibility for managing someone else’s property or money through a Trust. There are different types of trusts, including Totten Trusts, Special Needs Trusts, Testamentary Trusts, Living Trust, and many others. The type of trust will determine the exact actions a Trustee must take in order to perform their job.